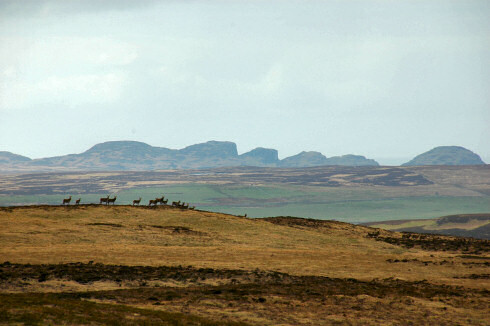 Deer on a hill near Glen Drolsay, looking west to the cliffs at Sanaigmore in the distance. I had a very busy week at work with several long days, not giving me much time to work on the Islay Walking Week 2007 travelogue in the evenings. But after completing two panoramas from the walk earlier during the week I was finally able to finish the Loch to Loch Walk, Islay of Islay page this evening. Now I think I've earned a celebratory Islay Single Malt. Have a good weekend!